Ahhh, who doesn’t love new makeup friends?? My birthday came and went and I was blessed with some fun makeup gifts as well as money that I spent on a few things I’ve been wanting to try. I always try to do research and be responsible about what I buy makeup wise because I am usually on a tight budget. This month I let myself just shop in honor of my birthday of course. Makeup hauls are some of my favorite things to read and watch for some reason, I hope you enjoy these kinds of posts as well. For me this is actually a pretty big haul even though it’s mainly drugstore items- I still rarely buy this much in one month! But I was so excited to share these products with yall! Some of these products are currently on sale so I will try to let you know which ones, who doesn’t love a sale?? 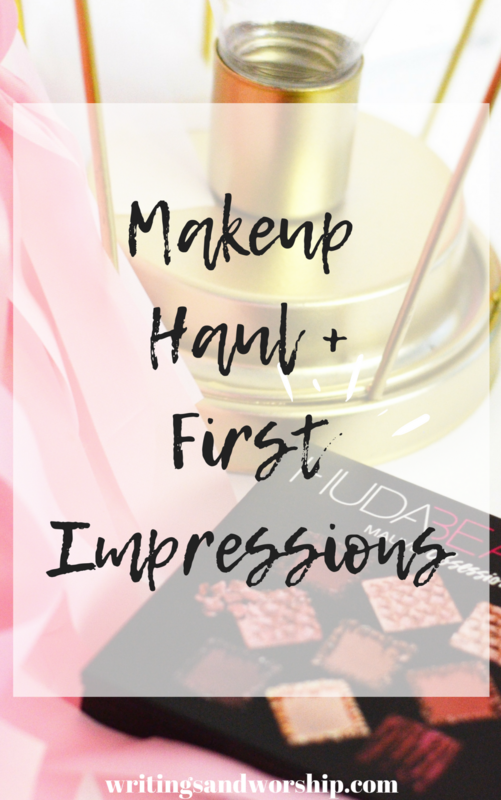 Let’s take a look at my favorite new products and my first impressions. This post may contain affiliate links. Any profits made are put back into the blog to help make W&W even better. Finally! 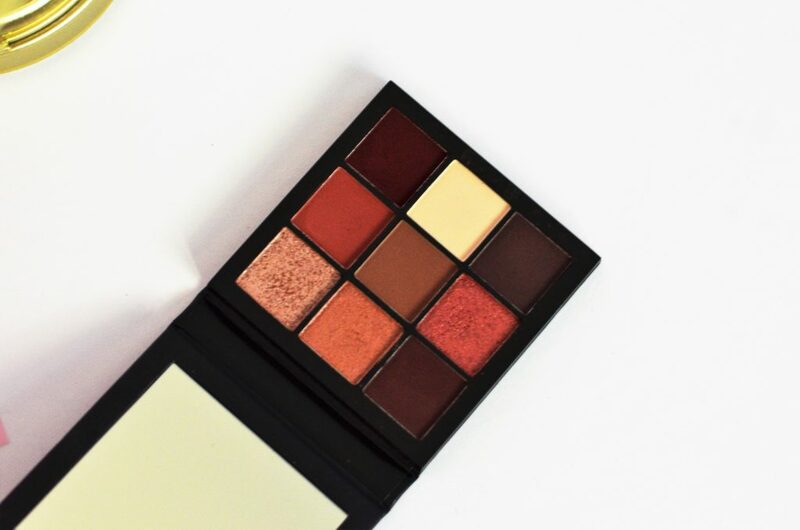 I have one of the famous Hude palettes in my possession! This mauve palette was an awesome gift from my family and I am so excited to finally have one and play around with looks from it. They are very different shades for me but they are also extremely gorgeous and popular right now. Some lovely deep mauve, purple shades, and some awesome shimmers. I’ve only tried this once but I love it so far! 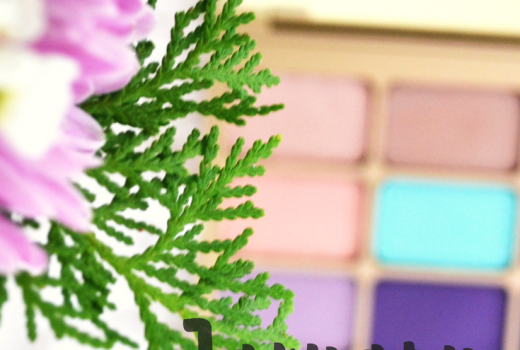 I had really high hopes for this palette and it exceeded them by far! I’m ready to run out and buy all these obsessions palettes honestly. A great amount of each shadow, great pigmentation, and seem to be long-wearing. I did have to use the shimmers with my fingers but I don’t mind that. Also, they are easily built up for days you want to pack on a color. I have always wanted to try the Hourglass stick foundation because everyone raves about them…but that is definitely not in my current budget. I had seen these on social media and some YouTube videos and heard they are considered a dupe for those Hourglass ones so I wanted to give it a try! 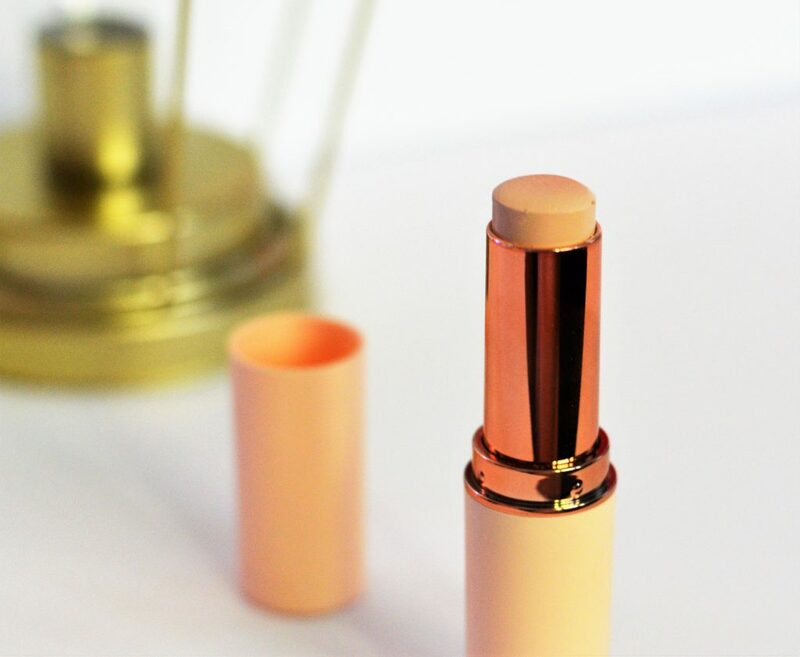 This shade is perfect for me! I have rarely ever found such a perfect match like this stick is for me. 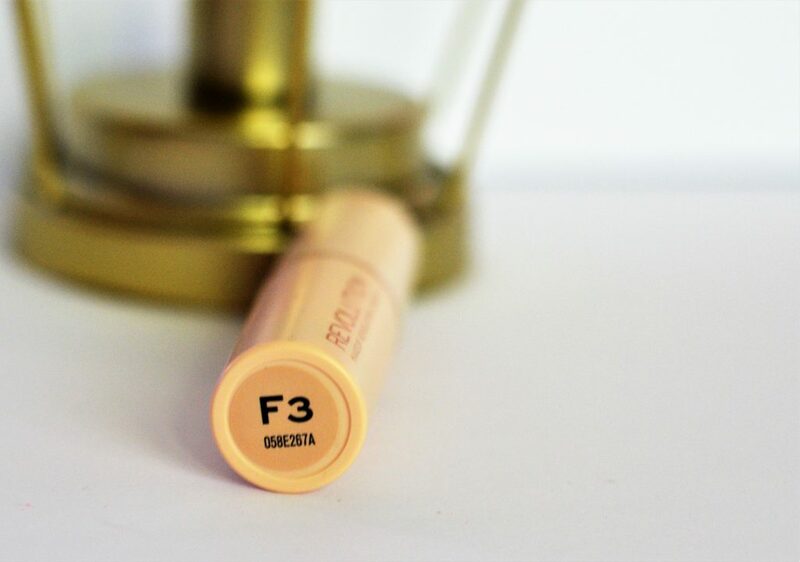 The consistency blends very well and it isn’t too oily. I was worried that it would be hard to blend and make my skin feel very wet but it didn’t! I would definitely suggest setting it with a powder though, I didn’t when I was trying it yesterday and I did feel a little sticky. 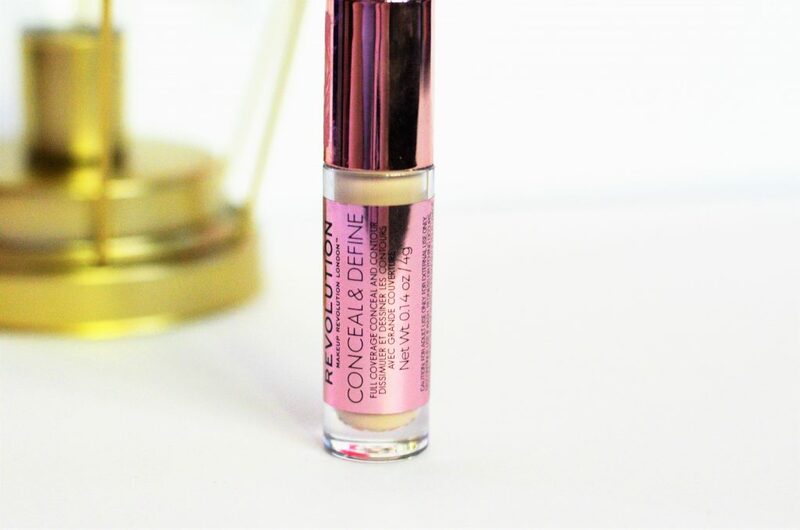 This seems to be a great, fast foundation option for days when I don’t want to do a full face- so far so good! This concealer is something I grabbed because I had heard it was a dupe for Tarte Shape Tape so I was curious to see how it compared. I haven’t worn it enough to have a final decision but so far my thought is “ehh.” It does work better than some concealers I have used but it so far hasn’t impressed me like Tarte has lately. I know Tarte is a big ticket price but I honestly feel like it is worth it if you love makeup. I will say this is the lightest shade and I’m not sure about it. I’m not sure if it was the undertone or just too light but it seemed a little off. Sale alert! This is currently on sale so go get ya one! Anyway, this brush is not only super cute but so soft and a great shape. The more I learn about makeup the more my tool and brush preferences change. I originally loved a big thick powder brush but not anymore. 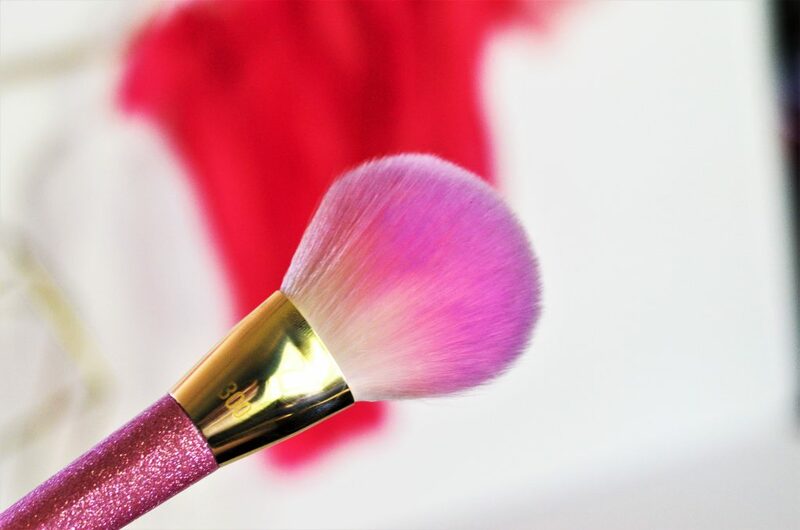 This powder brush is so lovely and really applies nicely to the face. I love the length and density for getting under the eyes as well. Great quality for a great price as usually! I’ve only used this foundation one time but I think I have a good idea of how it is going to perform. First off, the packaging is exceptional and high quality. It has a glass bottle with a sturdy lid and, of course, a pump. I’ve heard so much about this brand I finally had to try it. If you didn’t know, this is Drew Barrymore’s brand. It is sold at Ulta and some Walmart’s I believe. I was a little surprised by the price but so far, it seems worth it. The color was perfect for my pale skin and I don’t believe it oxidized at all! 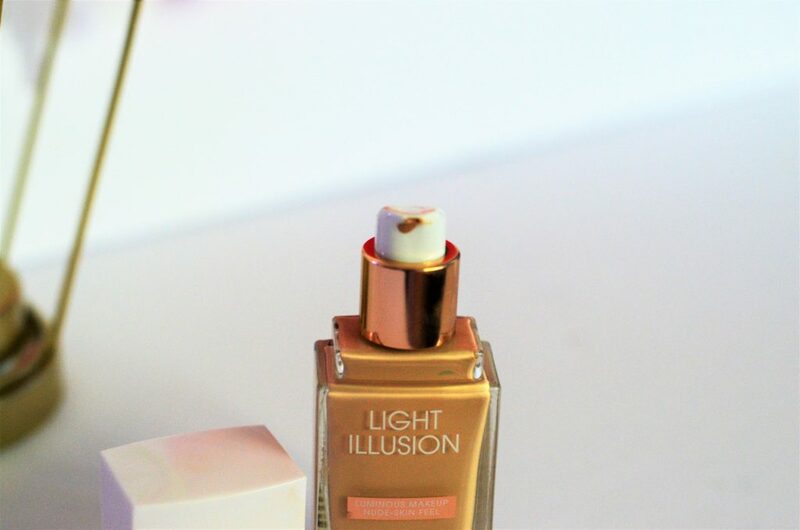 The formula is great coverage and while it is illuminating- it didn’t feel or look greasy. I have combo to oily skin and non-matte foundations often scare me. But this was pretty dewy right after application but once I set it- it stayed semi-matte for a good amount of time. I never felt like I looked or felt oily. My first impression is a pretty good one- so far so good! Another YouTube made me buy it product! 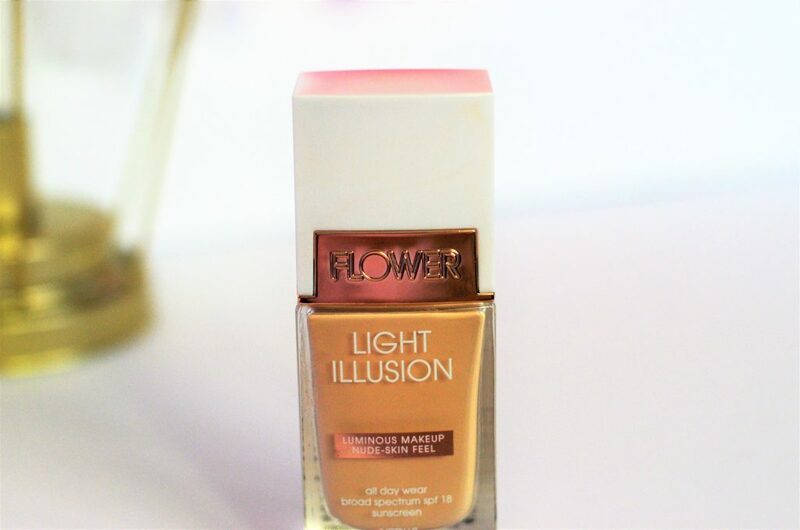 I am working on a best drugstore highlighter post for ya’ll coming soon and this one is one I grabbed to test out. I had heard awesome things about it and knew I needed to see if the hype was worth it. 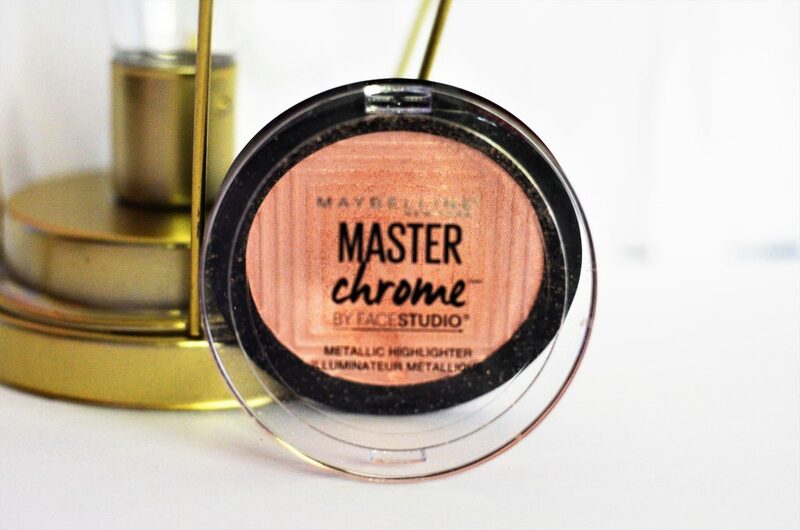 All the shimmer eyes, it is a gorgeous highlighter all around. The consistency and the shimmer are awesome. 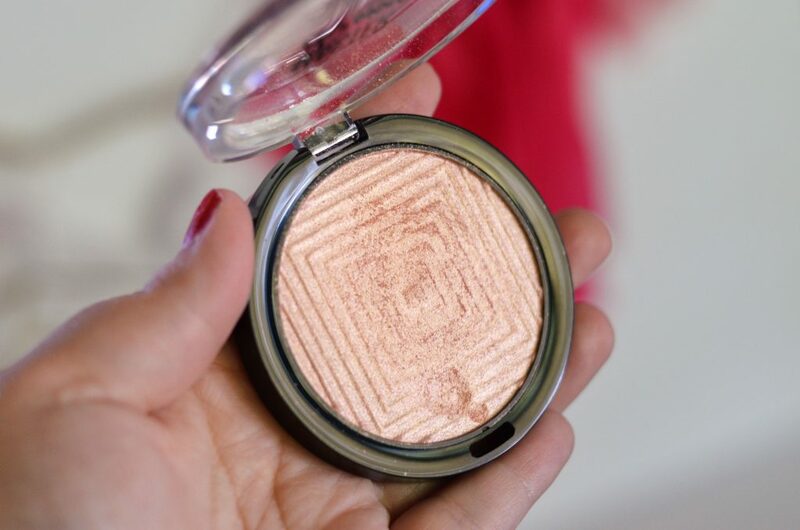 The feel of this highlighter feels as good, if not better, than all the high-end ones I have ever tried. I wish the color was a little bit more champagne- but I heard the rose gold shade was the best one so I went ahead and tried that one. As soon as I used this brush, I was like “where has this been all my life? 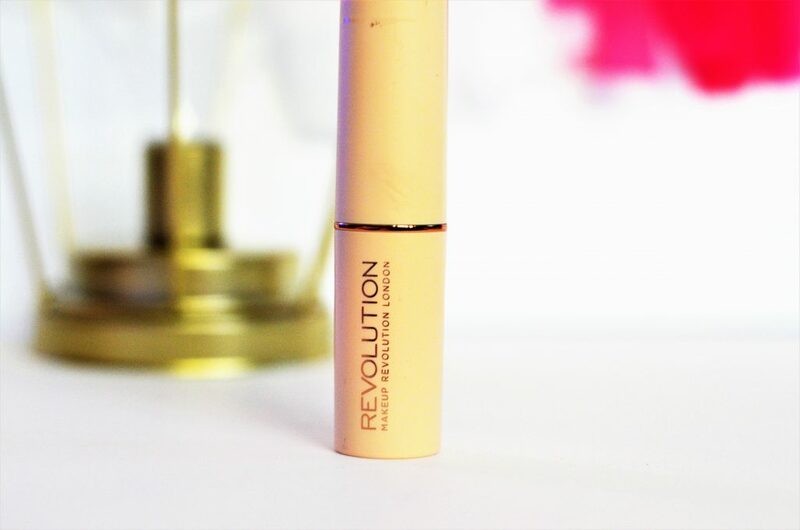 ?” I have been looking for a good foundation for a while and just happened upon some reviews of this one- they were all true! 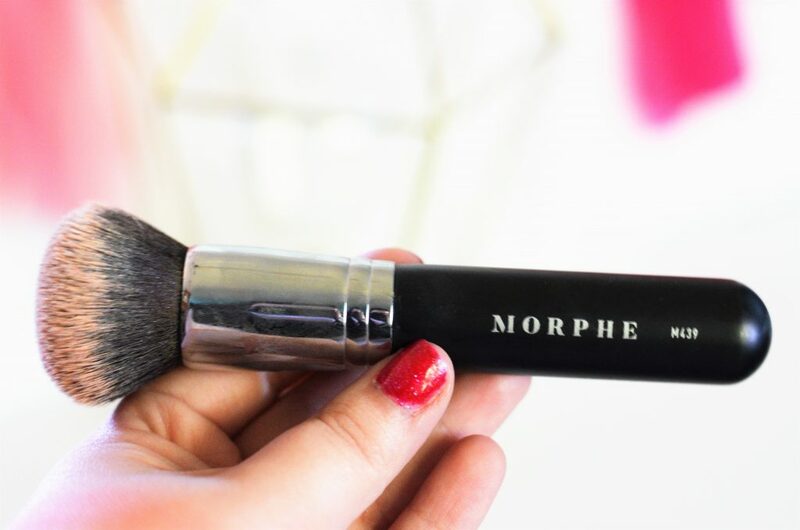 Applying my foundation is a quick breeze when I use this brush! For only $14, it is a perfect price point and totally worth every penny. The handle is fairly weighted which I actually like, it allows for a more even application in my opinion. The bristles are dense and work well with creams or liquid products. I highly recommend this brush and I have only used it less than 5 times. Go get one! 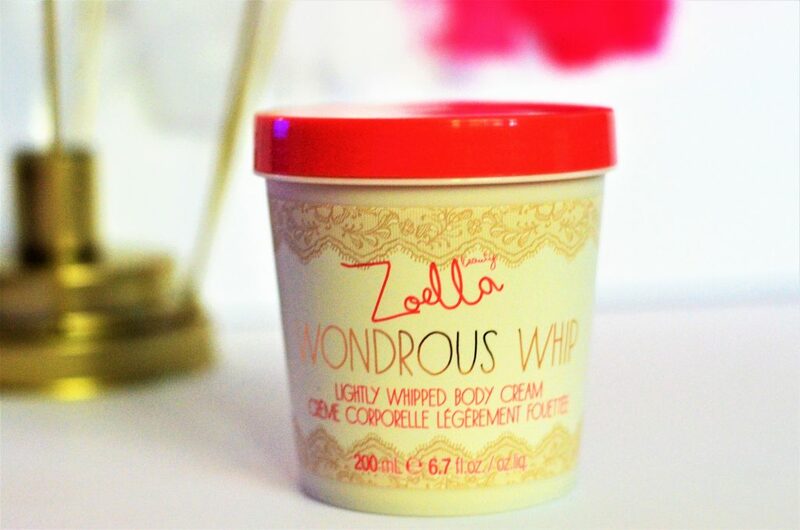 The Zoella Beauty brand is something I have tried once or twice and I really love the original scent. 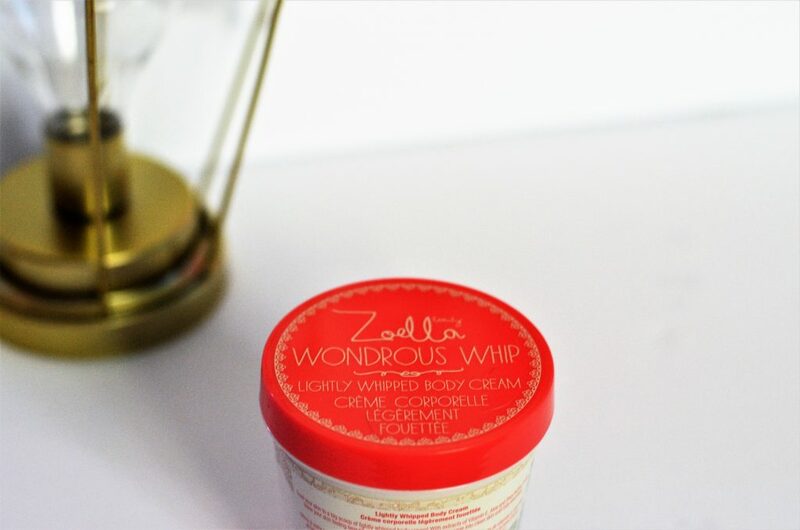 this whipped body cream is part of that line of products and I was excited to be able to try some more items. This formula is lovely! I like a thicker lotion but sometimes I find body creams a little too oily but this one is the opposite. The smell isn’t overpowering or too fake- just a slight perfume scent. If you like light, moisturizing creams this one might be a good one to try. Also, the packaging is so cute! I love the rose gold accents with the pale pinks and the tub is super cute in my opinion. 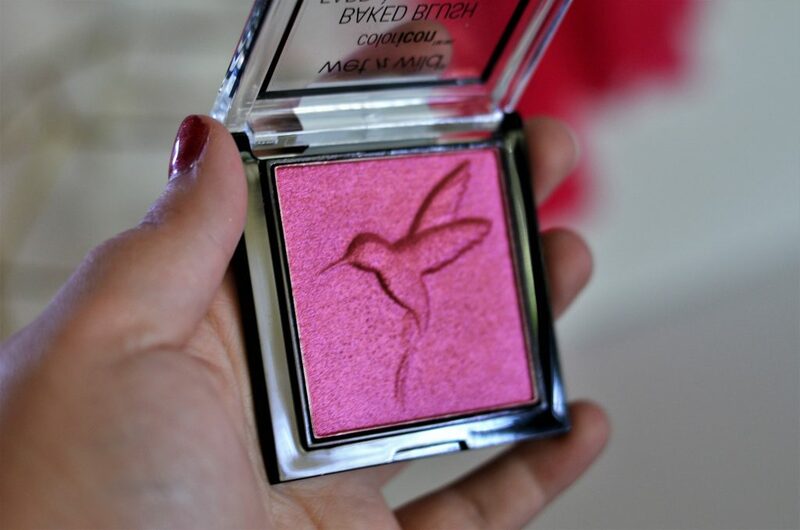 This blush isn’t my favorite. In fact. my first impression isn’t a great one. 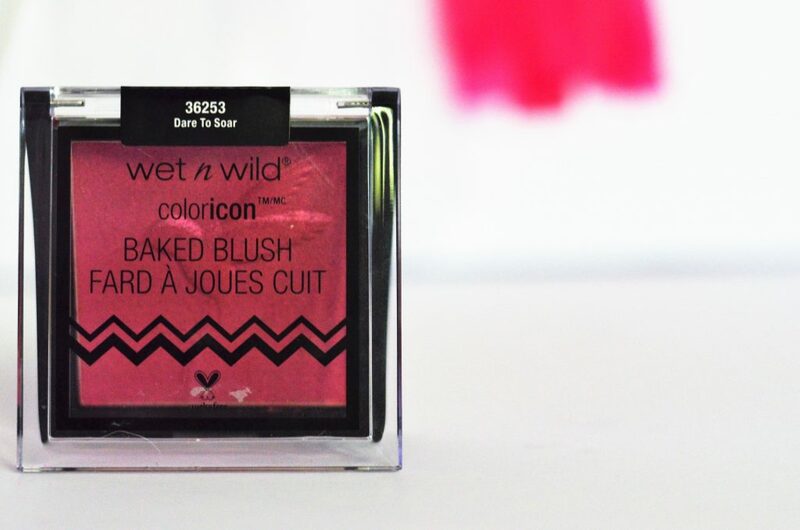 I was curious to try this new line of Wet n Wild products and when I saw this color- I knew it needed to be mine. 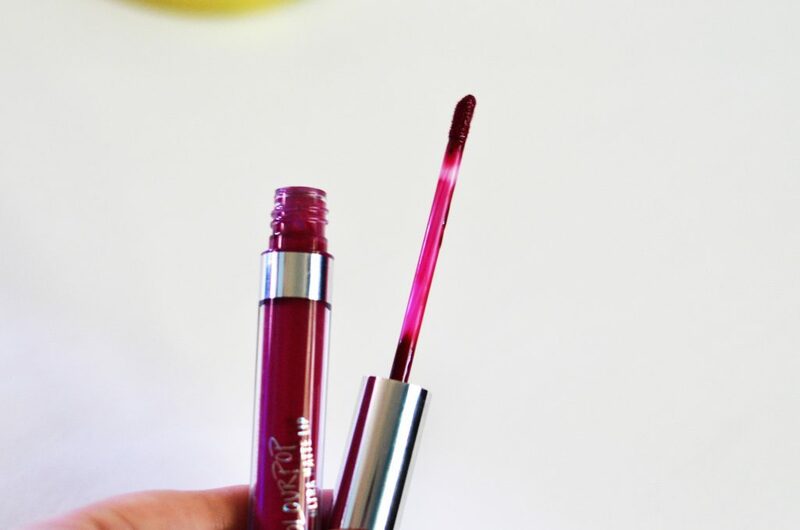 The color is a gorgeous magenta shade but what I didn’t realize…it complete shimmer. I mean don’t get me wrong, I love shimmer but this is like full on highlighter with a vibrant pink color added to it. The color itself is gorgeous but I wasn’t pleased with how shimmery it was- it applies like a blinding highlighter but the pink is too bright to wear as a highlighter. Does that make any sense? I think it might make a good eyeshadow but remember it is a pretty color. But stay away if you don’t like a shimmery blush! Another product I’m not exactly sure about yet. The color online looked a little more purple than it looks on me. I am a little disappointed in the shade but it is a pretty color- just not the one I was expecting. It is a deeper red than normal so it does seem to be a great shade! 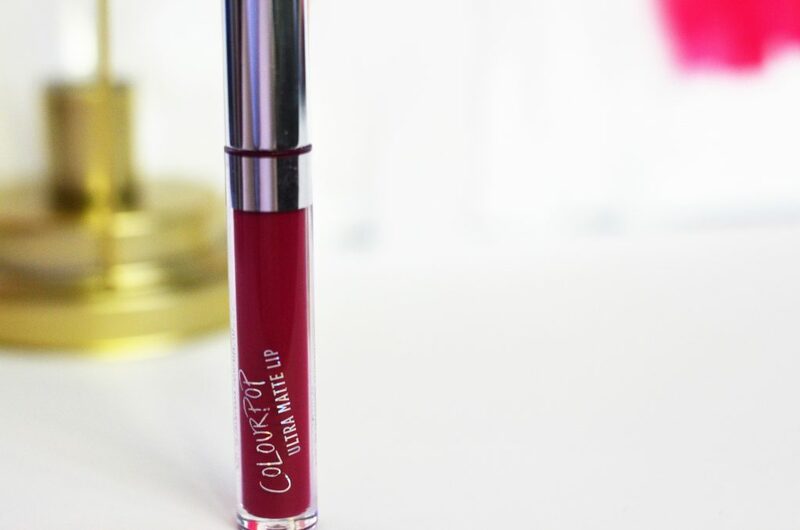 And I always love the Colourpop matte formula so I have decided to keep it! I did try it with a metallic lip topper and it looked great! So I think that this shade would make a good layering one too. Well, that’s my haul! 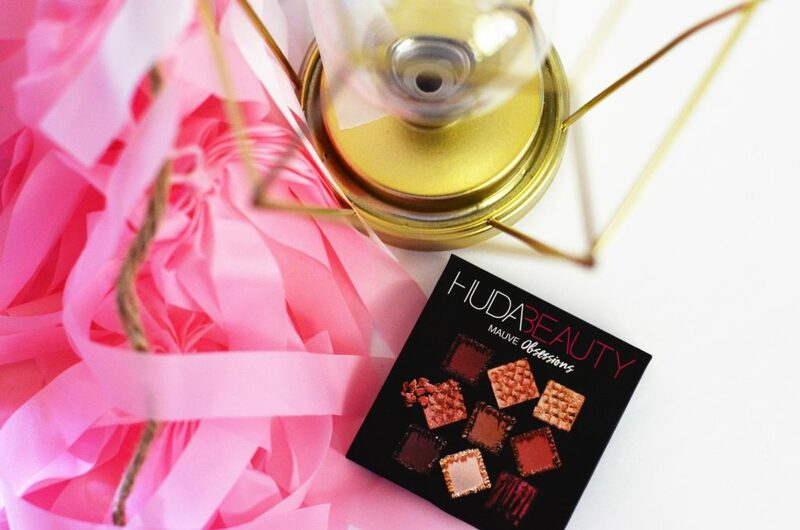 I am already daydreaming about another Huda palette and a few more things. What have you bought recently? I’d love some suggestions! Head to my Instagram Stories for swatches of these products! And if you are reading this later, they will be in my “beauty stories” highlights! What new products have you picked up lately? Wow such a great haul! 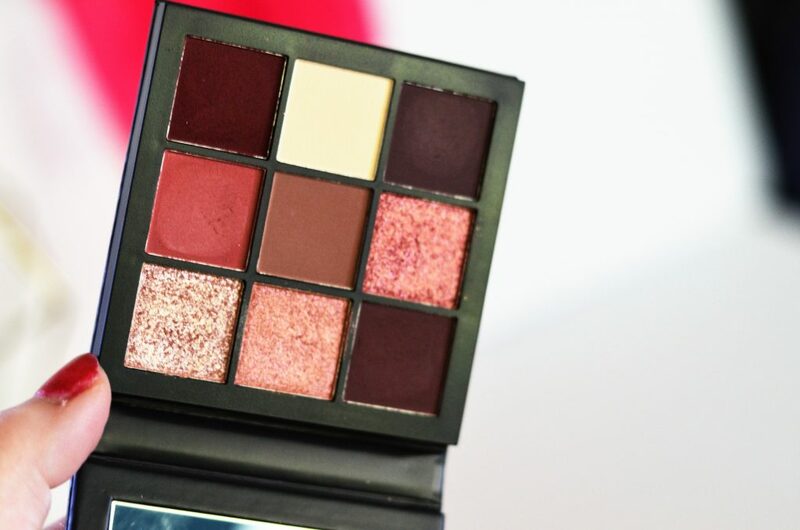 I’ve been really curious about that Huda Beauty palette! It has such pretty mauve shades in it!